It is made of PVC Coated Fabric, size from 600L to 18000L, which widely used for Water and Rain collection. The water tank can be used for many times and it can be placed in theoutdoor to storage the bulk liquids. 1.No contamination for water, which guarantee the quality of the material. 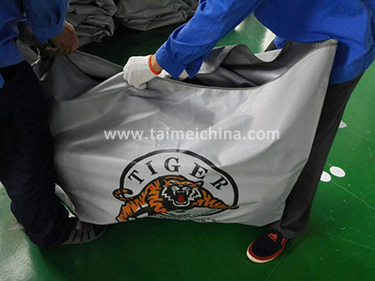 2.High strength of the coated fabric. 3.High frequency melt and sealed make sure the High strength of the seams so the tanks have excellent ability against air leakage and it’s very safe for water. 4.Easily assembled and disassembled for several times without damage. 5.Minimum packing size, easy for transportation and storage. We can offer several different types of water tank.